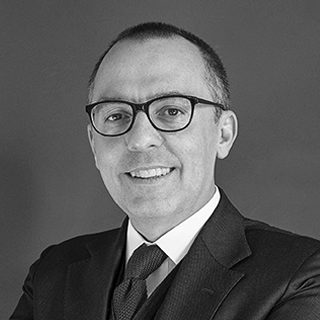 Lawyer, Partner @ AC – Annunziata & Conso. Admitted to the Bar in 1996, before practising law in his firm, he worked for 10 years as legal intern in many important banks and financial companies. His main areas of specialization include commercial, corporate, banking, financial and insurance law. He gained a specific expertise in real estate collective asset management, investment services, banking services, payment services, even related to the management and issue of electronic money. He also assists primary banking institutions in judicial proceedings before the Italian Courts. He supports banks and financial operators in authorization proceedings, group and corporate restructuring, insolvency proceedings and crisis-management procedures for collective investments schemes. He holds offices in financial companies and pension funds. Andrea is partner and founder of AC Group.